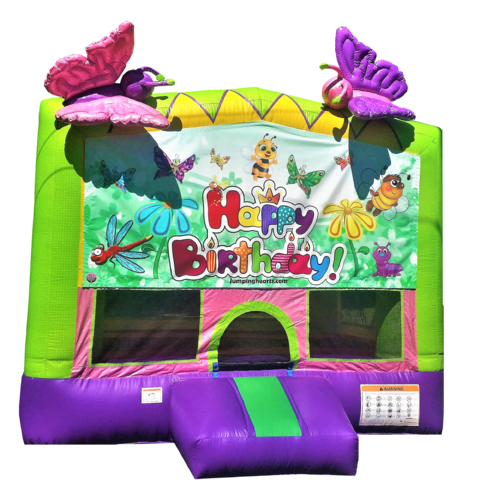 Butterflies are one of the most amazing animals in nature, and the butterfly bounce house is designed with super sweet graphics that make this girly bounce house a unique party attraction. Made with an incredibly sparkly vinyl, friendly and beautiful insects graphics, without a doubt... a cute bounce house. Watch out princess castle... there is a new cutie bounce house in town!!! Don't forget that we also offer cotton candy machine rentals and snow cone machine rentals and party supplies as well.